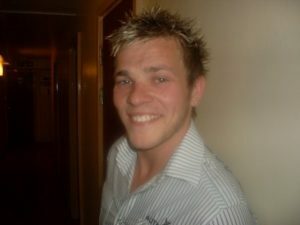 This photo is a picture of registered gas installer, Matthew Nixon, aged 22. Matthew died in December 2010 as a result of using a petrol generator indoors to power his tools. As a result of offering support to his mother, Stephanie Trotter learned that Matthew had been in the gas industry since the age of 16. Stephanie had suspected for some years that some registered gas installers did not fully understand the combustion process and that the training they do receive only covers gas. When Roland Johns very kindly offered to help CO-Gas Safety Stephanie suggested that he put together a training course covering CO dangers from all fuels. Roland was the perfect person to undertake this work as he was a retired investigator and trainer from British Gas. Please note that we learned of this death through our data collecting and collating and the details from offering victim support which the charity has undertaken since 1995. 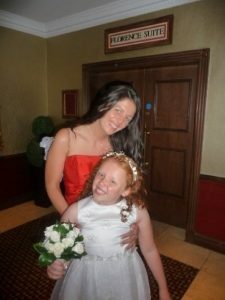 In 2013 another registered installer caused the deaths of Kelly Webster (aged 36) and her daughter Lauren Thornton (aged 10) on Lake Windermere on a boat again with a petrol generator. Kelly Webster with her daughter Lauren. 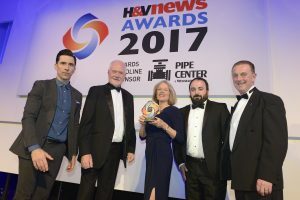 In April 2017 CO-Gas Safety won ‘Safety Initiative of the Year 2017’ award from H & V News for this course. From Left to Right, Host and Comedian Russell Kane, Roland Johns, Board of Reference CO-Gas Safety, Stephanie Trotter, OBE President & Director CO-Gas Safety, Adrian McConnell representing the Gas Distribution Networks and presentater Chris Bielby, MBE. CO-Gas Safety has gone into partnership with a certifying body BPEC and courses started to be run in November 2013 in Derby. We are most grateful to BPEC for providing certification and we found the organisation really easy and enjoyable to work with. The course is frequently reviewed and updated. Question – Did it cover expectations? Question -What did you find most interesting? Up to date data, actual cases. Figures of CO incidents with different fuels. The course was well taken in by all candidates and I’m looking forward to teaching it myself. I found the presentation enlightening bringing to the fore some things I did not realise were brought to my attention which I can investigate further. A little more information with regard to other fuels. Clarification on one or two questions (One question asked what to do if CO suspected without stating whether the person who suspected was inside or outside the building in question – this is being changed). CO-Gas Safety is grateful to all who attended and gave us the benefit of their knowledge on the feedback forms. Thanks also to Roland Johns, retired British Gas investigator and trainer to putting the course together with some input from Stephanie and also to BPEC for providing certification for the course. If anyone would like further information from CO-Gas Safety about this course, please email office@co-gassafety.co.uk or Mobile 07803 088688 and we would be delighted to talk to you. All courses are dedicated to the memory of Matthew Nixon. Note Over the years CO-Gas Safety has been approached by training colleges keen to raise awareness in their students. We have also had approaches from colleges training housing officers etc., not just aspiring registered gas installers. We therefore recognised the need to provide an awareness course that will cover the dangers of carbon monoxide (CO) for innumerable professions from gas installers to fire fighters (a need was shown for this by the case of Elizabeth Kerr Deceased), policemen, housing officers, social workers, health visitors and ambulance personnel etc. 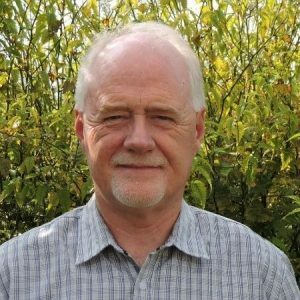 We have recently heard that one of the trainers, Roland Johns has trained has recently given the course to a local Womens’ Institute and was surprised both by their interest and by their detailed questions which showed their attentiveness. All of the above SGN course were supporting SGN’s FCO Apprentice Programme. Roland has slimmed the course down slightly in response to comments that some points were repeated. Also Roland has given more emphasis on other fuels following feedback and the statistics now available. Stephanie and Roland carried out a major review of the course in May 2016. CO-Gas Safety is very grateful to Gary Barnes, Director of Corporate Services, Scotia Gas Networks for allowing Roland Johns to provide this training about CO and we congratulate SGN on showing in such a practical way that they take CO seriously and wish to protect their employees. CO-Gas Safety is also very grateful to Tom Bell, Head of Social Strategy at Northern Gas Networks for welcoming our course. Tom can now be a trainer himself.